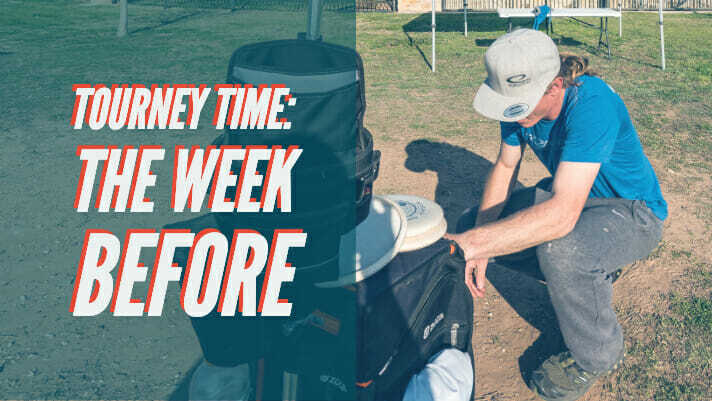 As we in the northern hemisphere continue to thaw out and prepare for the unofficial start to the disc golf season, there are plenty of people out there who have been fantasizing all winter about coming out the gate in 2019 and stacking Ws. Unfortunately, dreams are different than reality, so this article goes out to those players who can’t win yet but want to win soon. Here are four practice tips for the week leading up to a tournament. They are meant to help you prepare mentally and physically to achieve the best possible outcomes. I should note, these tips are only useful if you can make at least one practice visit to the course before the big day. Four for the price of one! Can’t beat that. As a teacher, I was once given a “scientific” explanation for why the job is so stressful: constant decision-making. They say we make 35,000 decisions a day, and the closer you get to that number (or beyond), the more stressed out you become. Many teachers make their lunches and lay out their outfits at the beginning of the week just to save the extra brain power. On one hand, I think this is ridiculous pop-science. On the other hand… it actually kind of works. 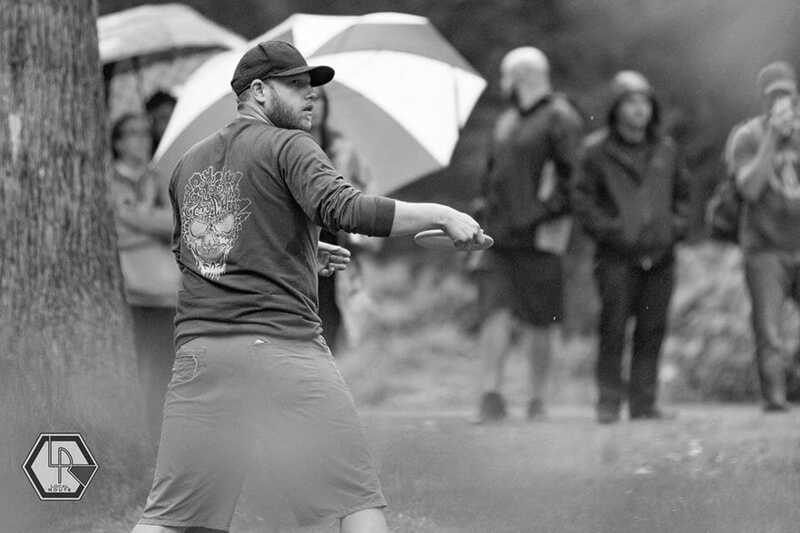 Use your practice round(s) to resolve 18 decisions that are completely within your control: the disc-and-line combos — the shots that you will throw off the tee. Scrambling is improvisational and putting is putting. Those in-the-moment decisions are unavoidable and you will deal with them when the time comes. Tee shots, though, are decisions that carry more stress; the line was made to be hit and if you mess it up there is no hiding from the blame. I think the best thing you can do with a practice round is to take these stressful decisions out of the equation by making them ahead of time. Try as many different shots as you want, but before you walk off a hole for the last time before the tournament I want you to have a shot absolutely locked in your mind. It is important to say that you should commit to a shot even if your practice attempts don’t reveal a perfect line to a birdie. This is because the secondary objective of this tip is to insulate yourself against influence. There will come a point in the tournament when someone throws a different shot than you were thinking of and it works perfectly. For them. Should your confidence be shaken, should you start to wonder if that shot is a better idea, you’ve already given up too much focus to something you cannot control: the play of other players. Even at the expense of a stroke, I believe that you should stick with what you practiced and keep your focus intact. I even go through the trouble (though frankly I kind of enjoy doing it) of handwriting out my tee shots over and over again before a tournament. It helps me visualize the shot the way I want it to work, locking it into my mind so that these choices cease to be decisions at all. I try to save all that brainpower for when I need to decide on the best scramble line or really lock into a putt. While you’re practicing your tee shots, make note of where your shots tend to land. In one way of thinking this will give you a pragmatic idea of what to aim for, but more importantly, it is another way to reduce the decisions you’ll have to make during the tournament. Especially on long par 3s and legit par 4s, knowing where your tee shot is likely to end up gives you the opportunity to plan (and practice) your second shot accordingly. Again, don’t leave any decisions for a high-stress moment that can potentially be decided ahead of time. This one goes back to the idea that scrambling is improvisation. During the tournament you will suffer bad kicks and missed lines that leave you throwing those ‘tweener shots that you never had reason to practice. It is inevitable. However, it is just as inevitable that some of your tee shots will go, I kid you not, exactly as you wanted them to and, Oh! What a feeling! I submit to you arguably the most intimidating drive in Connecticut: Hole 6 at Rockwell. Some people are of the belief that you should play every practice shot where it lies because it’s “realistic.” I can’t deny the truth in that, but my counter-argument is that practice makes permanent, and I don’t intend to spend my whole tournament scrambling. Move your drives to the best realistic landing zones and play from there. I cannot state this strongly enough: your practice performance has zero impact on your tournament performance. Does your practice mindset carry over? Yes. Your practice confidence? Yes. Your practice knowledge? Yes, probably that most purely. But performance? Noooooooooo. “Just?” Not to be hyperbolic, but this poor fella is doomed. On hole 3 he’ll be thinking about the birdie he’s sure is coming on hole 4. This momentary trip into the future will cause him to lose focus and doink an obvious tree on his approach, or leave a putt high left side. Bogey. Now, under the added pressure to “make up” the stroke, he will tighten up as he approaches hole 4’s tee. This will probably result in a catastrophic tee shot and suddenly he could not be further from “just” birdieing the hole. All this because he set score expectations during practice. Buddy, Thursday shots don’t count on Saturday. When you practice, do not keep score. Whether the expectations you set are realistic or not, expectations are the sworn enemy of in-the-moment execution. Instead, take lots of practice shots. Play holes twice. Hell, I don’t know, if you’re obsessed with keeping play an off-hand round at the same time and track that. Point is, the only thing you should be thinking about when you step up to the first tee on Saturday is executing the first tee shot. Tl;dr: Use your practice rounds to eliminate as many mental strains (decisions, foreseeable situations, expectations) as possible so you are freed up to use maximum brain power on execution during the tournament. Then, unburdened, go out there and execute! Good luck! Comments on "Tuesday Tips: Tourney Time – The Week Before"